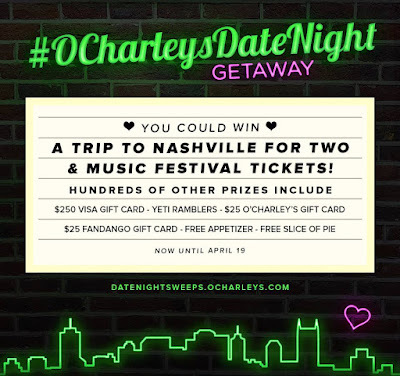 Win a Trip to the 2018 CMA Music Festival From O'Charley's! O'Charley's is offering one lucky winners a trip to the 2018 CMA Music Festival! MusicCityMeetandGreets.com is merely reporting the availability of this contest and is not affiliated with, endorsed, sponsored by, or in any way officially connected with the CMA Music Festival or O'Charley's.